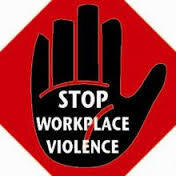 Over recent years, the trend of workplace violence has been a growing concern in the rate of occurrences and both type and intensity of the violence. Private businesses owners, manager’s, supervisors and line employees are all at risk, as well as employees of local and national government agencies, such as public schools or Federal facilities. The Bureau of Labor Statistics Survey of Occupational Injuries and Illnesses (SOII) reported an estimated 130,290 nonfatal occupational injuries and illnesses involving days away from work during the 2003 to 2010 time period, also reporting 13,827 workplace homicide victims between 1992 and 2010. Not reported were the numbers of work related injuries and deaths that occurred away from the work place. Olympic Tactical’s Protective Services division are trained to mitigate this threat as both a visual deterrent and incident responder, offering a reassuring proactive approach to all parties involved. Whether the threat lies in the workplace, neighborhood or in the confines of a potential victims own home, we are experienced professionals offering high or low profile protection for any actual or perceived threats. Our Agents presence alone may be enough to mitigate the threat of any work place violence, while at the same time offer the daily security necessary for any business. i. Conduct a threat assessment and present a report of the findings. ii. Present an Incident Action Plan that is developed specifically for the level of threat that has been assessed. iii. Implement a visual or covert protection plan designed specifically to address and mitigate the threat at hand with the use of armed or unarmed agents from our Protective Services division. Note: Our Protective Services Division understands that discretion and trust are fundamental to business today. Please call us to speak personally about your needs. 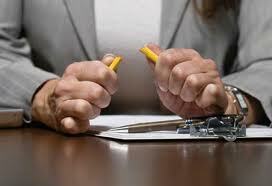 Threatening or violent actions in the workplace have become all too common in today’s world, making it even harder for employers to provide a safe and productive working environment. The consulting staff can meet with your team to help prevent these acts before they happen, through awareness seminars and training, workplace violence prevention programs, and consultation when a crisis occurs. We at Olympic Tactical recognize this growing threat to business and can provide not only an Assessment for those companies in need but help them develop a plan that can even include on site training to your staff. Should the need arise, our trained agents are ready to deploy and help mitigate any issues that may cause an immediate threat to your business and employees.